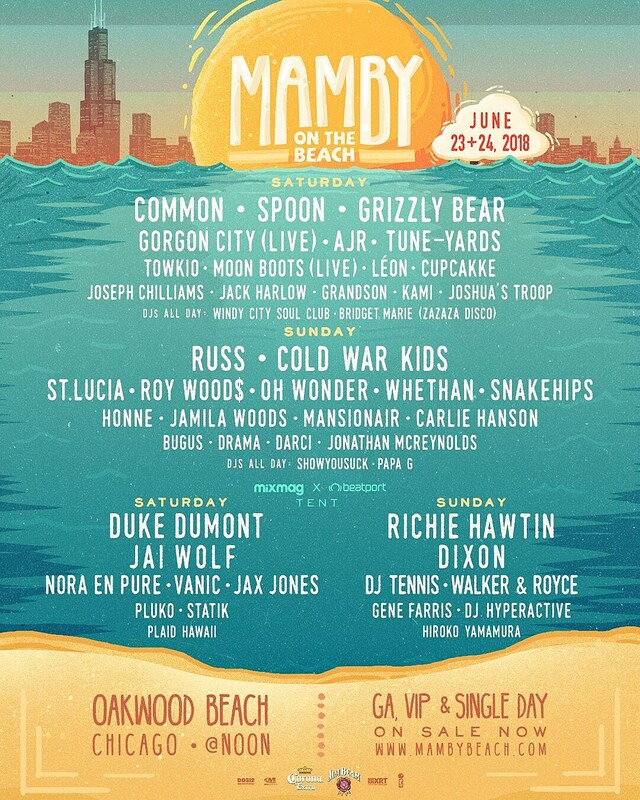 Chicago’s annual Mamby On The Beach festival is currently in its fourth year, and it takes place on June 23 & 24 at Oakwood Beach. This year’s headliners are Spoon, Grizzly Bear, Cold War Kids, Common, and Russ. Other notable acts appearing at the fest include Tune-Yards, Cupcaake, AJR, St. Lucia, Jai Wolf, Snakehips, Jamila Woods, and lots more. Tickets are on sale now. To promote the upcoming fest, Mamby On The Beach has shared a video parodying classic infomercials. You can watch that, and view the full lineup, below.